Introduction: The product is a new generation product, which is developed by my company and institute of high energy physics, chinese academy of sciences. The mechanism is that alkali metal of the cationic adhere to the surface of the boiler when the product is burning in high temperature place, which can prevent with soot oxidation and make the soot burning completely. Melted Nitrate impel hard dirt produce crackle and become loosely. The cigarette dirt is easier to oxidize under catalyst function. Nitrate and sulphur produced the gas shock wave under certain function while burning, which impel cigarette dirt to come off. The inferior nitrate that nitrate produces afterbeing decomplosed has anticorrosion effect on the wall. The additive can slow down the corrosion of the boiler and impel the fuel to burn.Bruning fully can reduce cigarette dirt and carbon monoxide permeate through atmosphere. 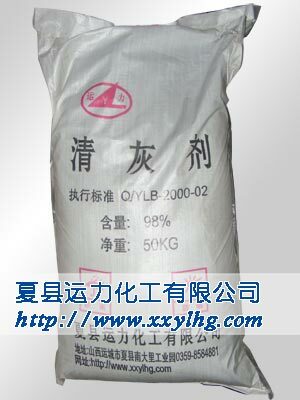 Ther combustion of ammonium salt reduce exhaust gas of nitrogen oxide to protect the environment. 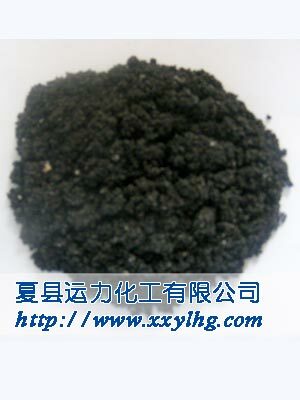 (1).main components:catalyst,oxidant,decomposer,penetrant and so on. (2).application scope:various boilers taking coal as fuel. (3).Operation method: Thrown in the grate directly from the peep hole. While putting into clear gray pharmaceutical, the boiler should be in the hot state of burning some time.Put into medicine should strengthen combustion,violent combustion make chemical gas and cigarette dirt keep in touch on heating surface fully,in order to archieve maximum efficacy. (4).Consumption: The offering medicine amount is 1/10000 to 1.5 of fuel normally, the offering medicine amount offers medicine 203 times of quantity normally for the first time. If the cigarette dirt is formed seriously, you can increase the offering medicine amount for the first time appropriately, sustain period is generally 2-3 weeks. Packag: 50Kg / bag, plastic inside and knitting bag outside, or in terms of customer's requirements.